Last June, the summer camp Quinn’s family owns in Winship, Maine, was still a magical place. 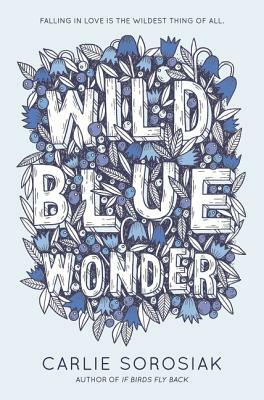 A place where wild blueberries grew no matter the season, a legendary sea monster lurked in the waters, and Quinn fell in love with her best friend, Dylan. Then the accident happened. Perfect for fans of Morgan Matson, Jenny Han, and Jandy Nelson, this wondrous novel was proclaimed “a striking examination of love—of friends, of family, of self—as well as of grief” by ALA Booklist in a starred review. Carlie Sorosiak is the author of If Birds Fly Back and Wild Blue Yonder. She grew up in North Carolina and holds two master’s degrees: one in English from Oxford University and another in creative writing and publishing from City University London. Her life goals include traveling to all seven continents and fostering many polydactyl cats. She currently splits her time between the United States and the United Kingdom, hoping to gain an accent like Madonna’s. Visit her online at www.carliesorosiak.com.